Do Milk Drinkers Lose More Weight? Milk and dairy have had a bad rap recently, but now it seems drinking milk and eating cheese and butter can actually help you lose weight! New research published in the American Journal of Clinical Nutrition also linked higher levels of vitamin D in the blood to successful weight loss. "Our study suggests that both higher dairy calcium intake and increased blood vitamin D are related to greater diet-induced weight loss," concluded the researchers, led by Danit R. Shahar, of Ben-Gurion University of the Negev in Beer-Sheva in Israel. Looks like grandma was right and dairy is good for you. Comments for Do Milk Drinkers Lose More Weight? I don't have enough idea about it but if i use my limited knowledge then i think the answer of this question must be Yes. 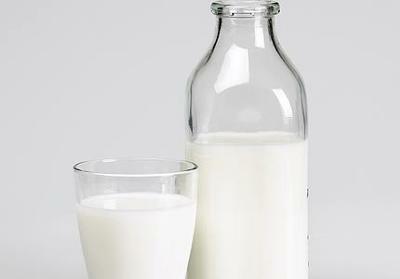 Milk Drinkers lose more weight than other people who don't drink Milk. But i want reliable and reliable answers of that question. If Answer is yes then people must use Milk for weight lose. Adults who ate or drank the highest amount of dairy per day -- about 12 ounces of milk or 580 milligrams of dairy calcium - at six months lost about 12 pounds at the end of the two-year study. Here is milk diet. Finding a number of reliable online writing marketing networks is now become so easy and simple because there are too many famous models are working in this category which can be really good sign for all pupils. Check our business reports as well as save your money almost on every sale. Our reviews will help all students to find a far better educational network within standard and affordable prices. Do Milk Drinkers Lose More Weight? This post is nice. I am totally agree with you because you provided such a good information. some sponsors. We Ricrescita Capelli immediately removed this information and decided to take dow entire sponsor page for further testing. I am very interested to get more information about the last obesity. So, I was right about milk! Milk does help you lose weight - it's finally official. For years my family and friends have tried to get me to cut down my dairy intake. But while they denied themselves the pleasures of milk, butter and cheese - and often put on weight anyway - I enjoyed them all in moderation... and stayed fit and trim. I know it's wrong to gloat, but sometimes you just can't help it!